Product prices and availability are accurate as of 2019-04-08 13:16:53 EDT and are subject to change. Any price and availability information displayed on http://www.amazon.com/ at the time of purchase will apply to the purchase of this product. 100% brand new and high quality. RJ-45 (Cat7/CAT6/CAT5 connectors) on each end. 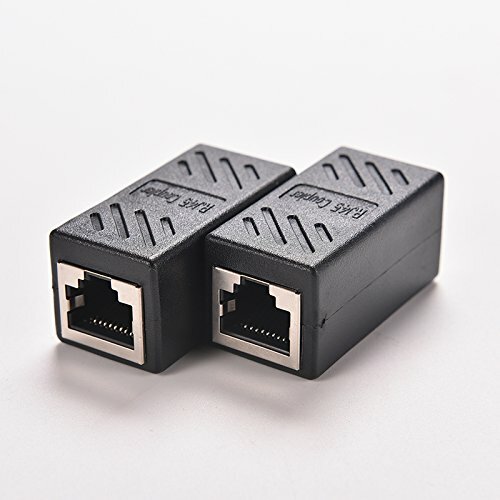 Use this adapter couple two RJ-45 ethernet cables together. 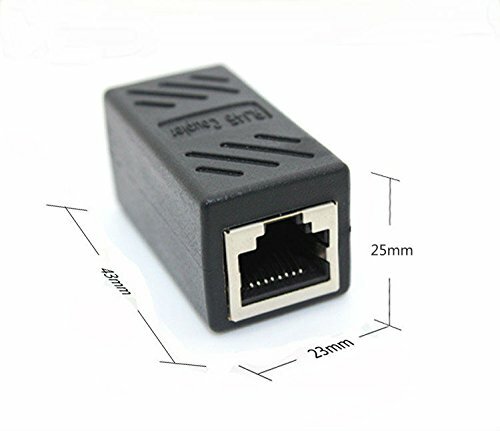 Great for extending ethernet connection by connecting 2 short netwrok cables together. Shielded Metal ensure a corrosion free connection.